Agritama, our subsidiary in Morocco continues its growth and expansion in the Moroccan territory. Since it was created in 2013 it has been continually growing. 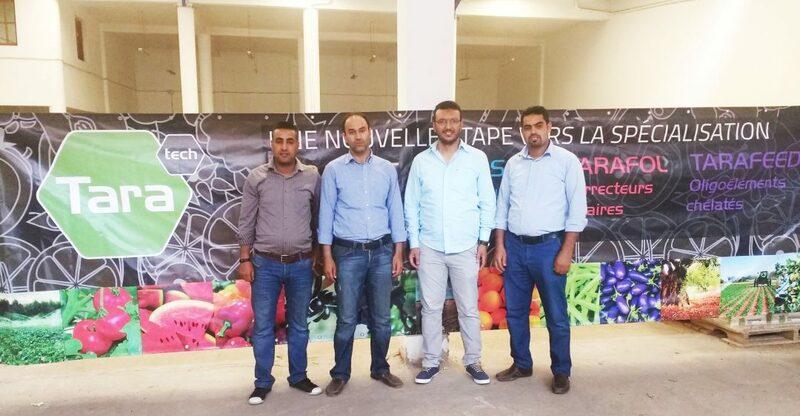 La line of action has been opting for value added products like Taratech line, and at the same time, increasing the number of registered products in Morocco, offering a complete range of solutions for vegetal nutrition to the grower. Nowadays we work in achieving collaboration agreements with large farms, distributors and producers of the North part of the country, expanding like this the brands Agritama and Tarazona to other areas unreached up till now. The staffs have been increased during the last year for meeting the demands of our customers. The orders to be managed keep growing and the effort of the whole team is bearing fruits. From Tarazona, all the areas have been devoted with the development of the Moroccan subsidiary, giving to our Agritama’s colleagues all the help needed for making easier their every day work and for developing an exhaustive training plan which helps the achievement of the established targets. We keep growing in green together!